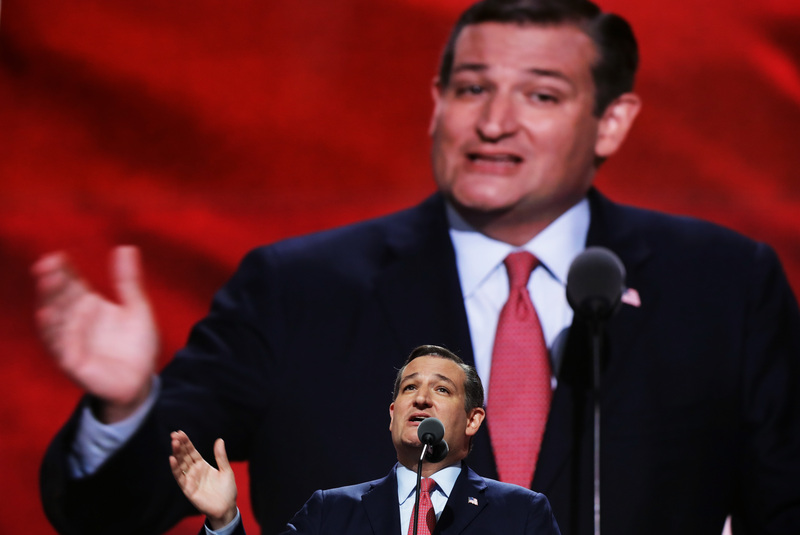 When he refused to endorse Donald Trump on the stage of the Republican National Convention, Texas Sen. Ted Cruz incited an audience-wide gasp which gradually turned into a chorus of raucous boos. Contrary to what the crowd's reaction suggests, however, the form presidential candidate did not go rogue. In reality, Cruz got away with his non-endorsement of Trump without breaking any rules. After all, if he had gone behind the RNC's back, he would have risked unearthing Trump's unfortunate nickname for him("Lyin' Ted"). To those listening, please, don’t stay home in November. If you love our country, and love your children as much as I know you do, stand, and speak, and vote your conscience. Vote for candidates up and down the ticket who you trust to defend our freedom and to be faithful to the Constitution. In a tweet, Jonathan Martin of The New York Times said that a Cruz official told him the Texas Senator had spoken with the Trump campaign before he delivered the speech. Stating nothing to prove that story wrong, Trump scoffed at the non-endorsement — a characteristically nonchalant response — and boasted that he had seen the speech transcript earlier, but didn't think much of it. Ted Cruz said, 'You can vote your conscience for anyone who will uphold the Constitution.' In this election, there is only one candidate who will uphold the Constitution. Ultimately, the advance notice helped the Trump camp make itself look as good as possible. And Cruz? Well, he didn't fare too well, though he ultimately received a standing ovation from the crowd.